Marco La Pera was born in Rome, Italy in 1971. He started aikido when he was 12 years old. After a study abroad period spent in the US and Germany, he graduated with a B.A. in International Relations, and picked up training in the dojo “corso Salvatore Mergè” of Renato Tamburelli Sensei (Aikikai 6th Dan). In 1998 he moved to Tokyo to further the study of aikido, practicing at Tada Hiroshi Shihan’s Gessoji Dojo. He received the Shodan from Tada Sensei. 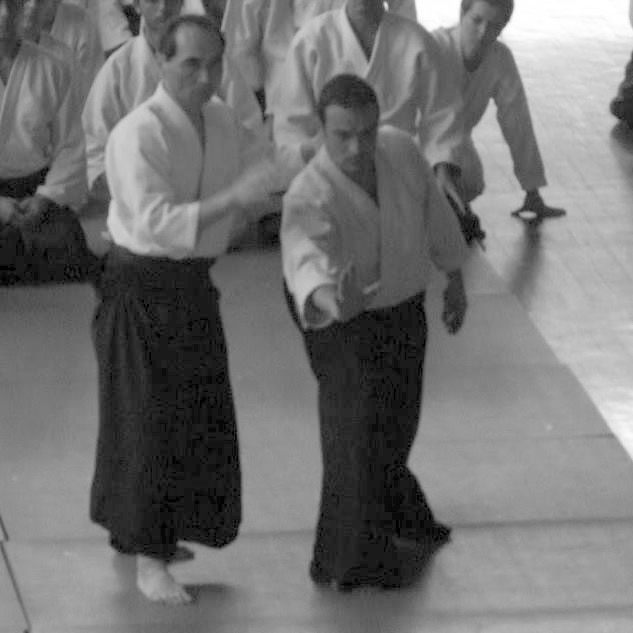 During the two and a half years stay in Japan, Marco also attended regularly the classes of other prominent Senseis at Honbu Dojo. Since 2000, he has returned to Japan on various occasions. Marco La Pera is currently Aikikai 5th dan . A few years after starting aikido, he took part from 1986 to 1994 to the “Mandala – School of Normodynamics“, founded by Paolo Menghi. This fundamental experience gave him the imprint for his ongoing spiritual research. The “Mandala” center is also the inspiration underlying the course called Relational Dynamics.